When I went for my morning croissants, life in the 16th arrondissement was much busier than it was when we arrived this weekend. Children of all ages were heading out for school, and adults were on their way to work. One of the joys of staying in an urban residential area is feeling like we are part of life in Paris. We must be starting to look like we fit in because this afternoon a man stopped us to ask for directions in halting French. He was so happy to find out we were Americans and could help him out in English. Our goal today was to master the Metro (Paris subway) and visit a number of different areas in the process. After making four transfers on one trip, we feel confident we can now get anywhere in Paris on the Metro. The Hotel de Ville (below) is home of the Mayor of Paris and local administration. Ever since 1357, the City of Paris’ administration has been located on this site. Two days a year, Paris celebrates Heritage Days by opening the holy shrines of buildings which are normally closed to the public. On this Saturday (the first Heritage Day), we will be able to tour inside this spectacular building. 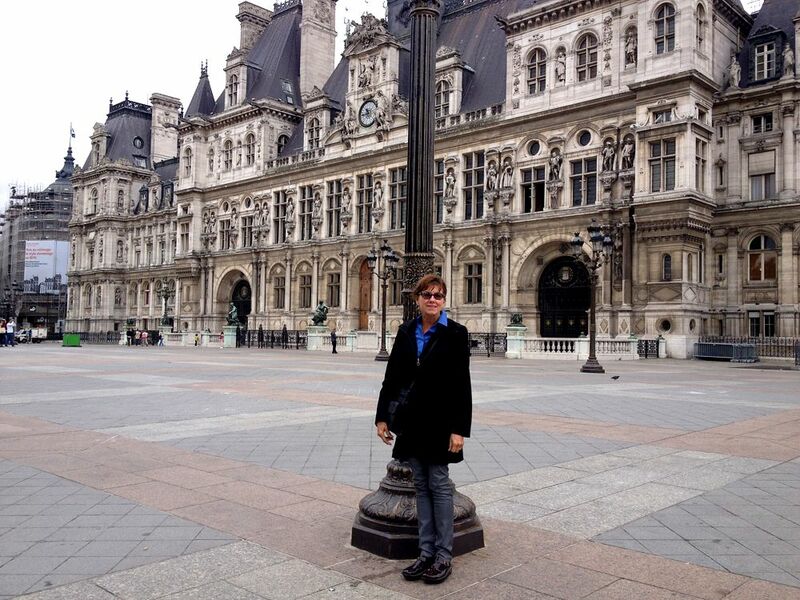 This entry was posted in Paris 2013 on September 9, 2013 by debbie.